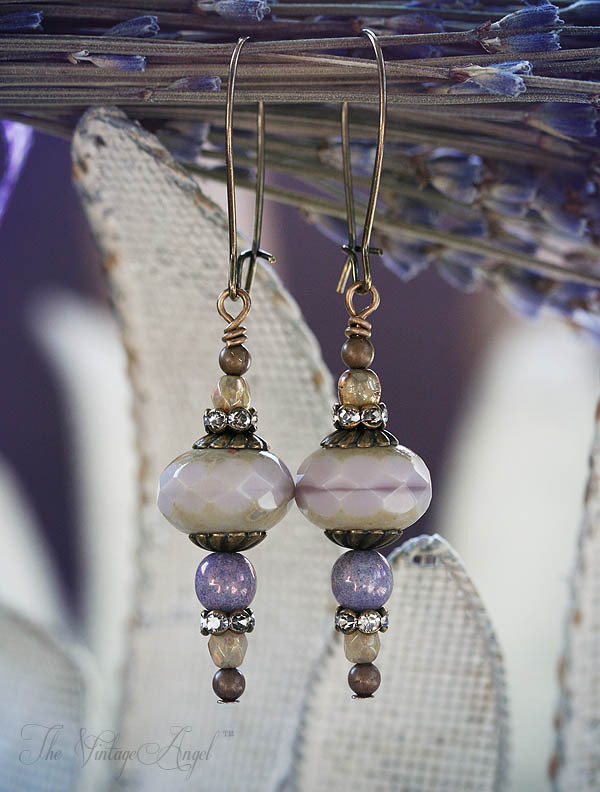 Bohemian, nature inspired Czech glass and pearl earrings are playful and elegant at once in serene shades of lavender. 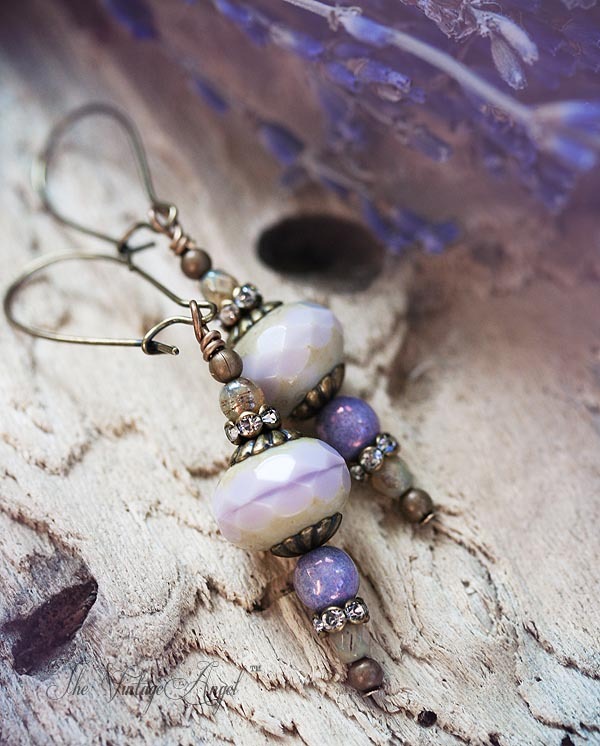 Large, lavender Czech glass rodelles in pale lavender have been layered with many aged brass filigree bead caps and accented with lavender pearlized rounds and vintage rhinestone rondelles for a detailed look. 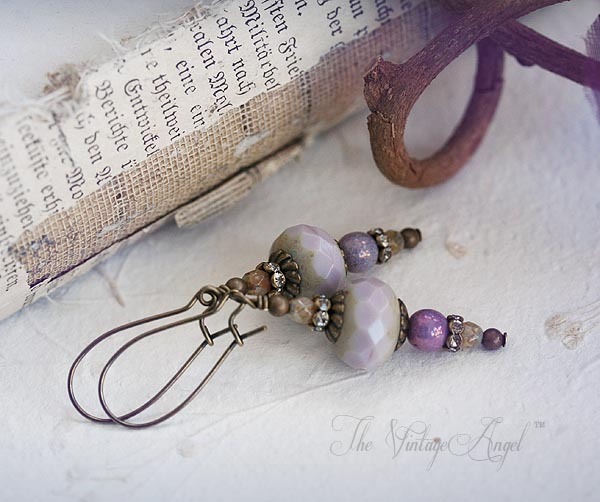 Hung from French ear hooks in aged brass for pierced ears.